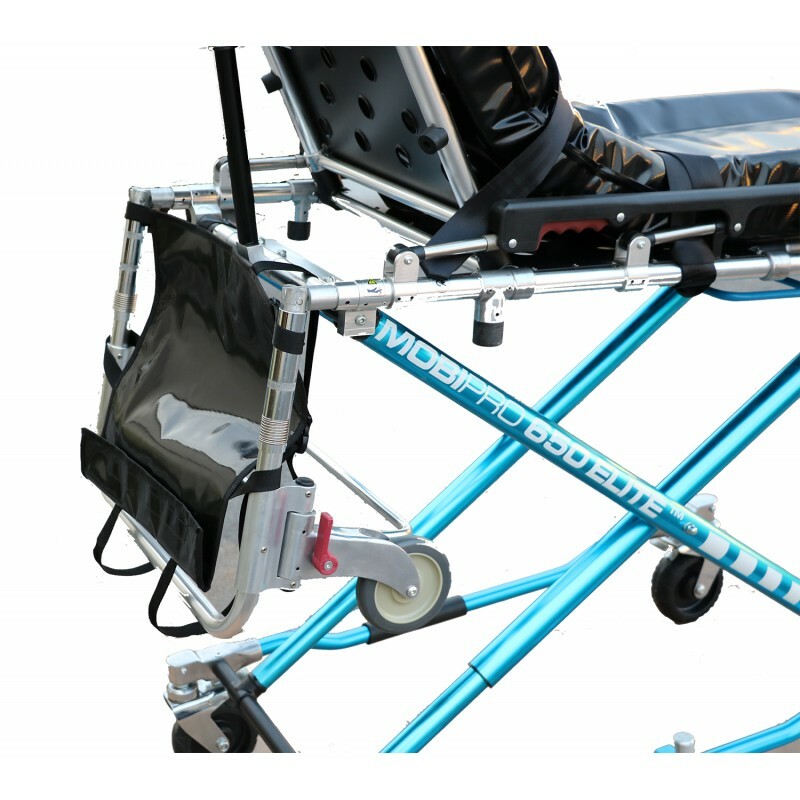 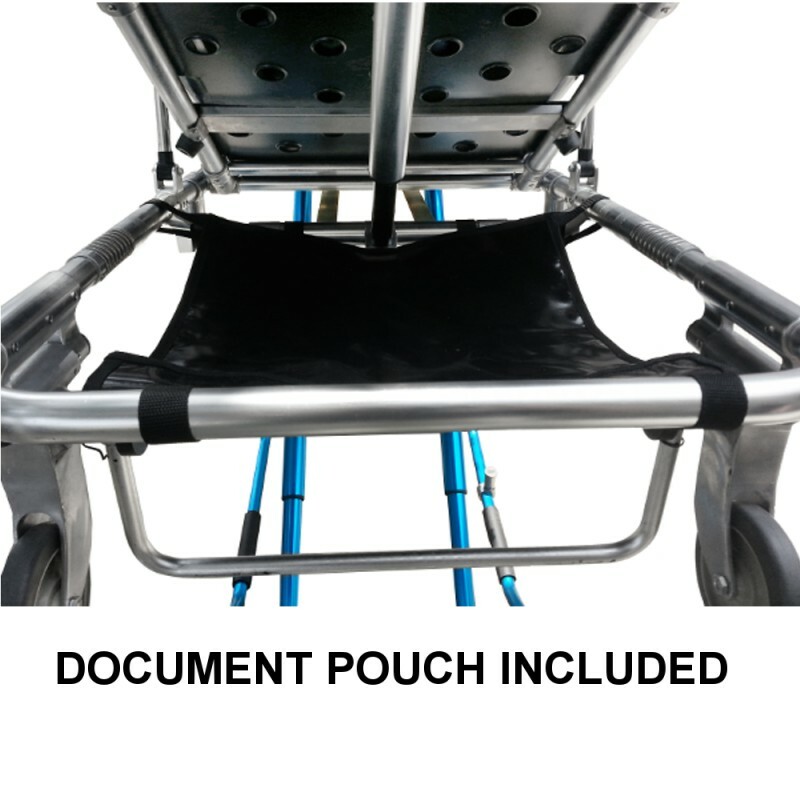 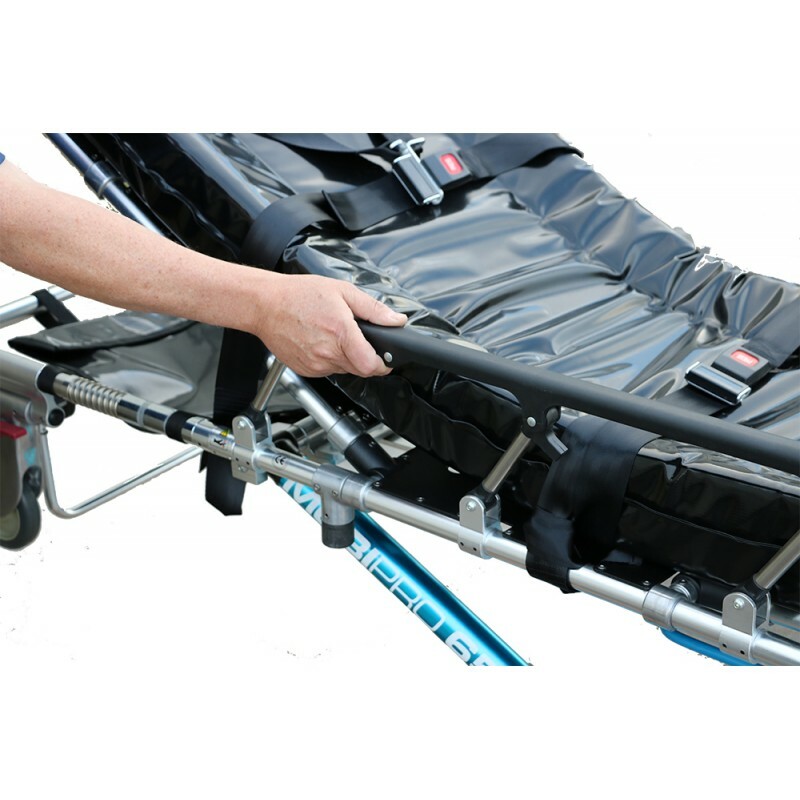 The MOBI PRO 650™ is fully equipped and comes standard with a telescoping IV pole, a removable document holder/net under head rest area, and an oxygen tank holder. 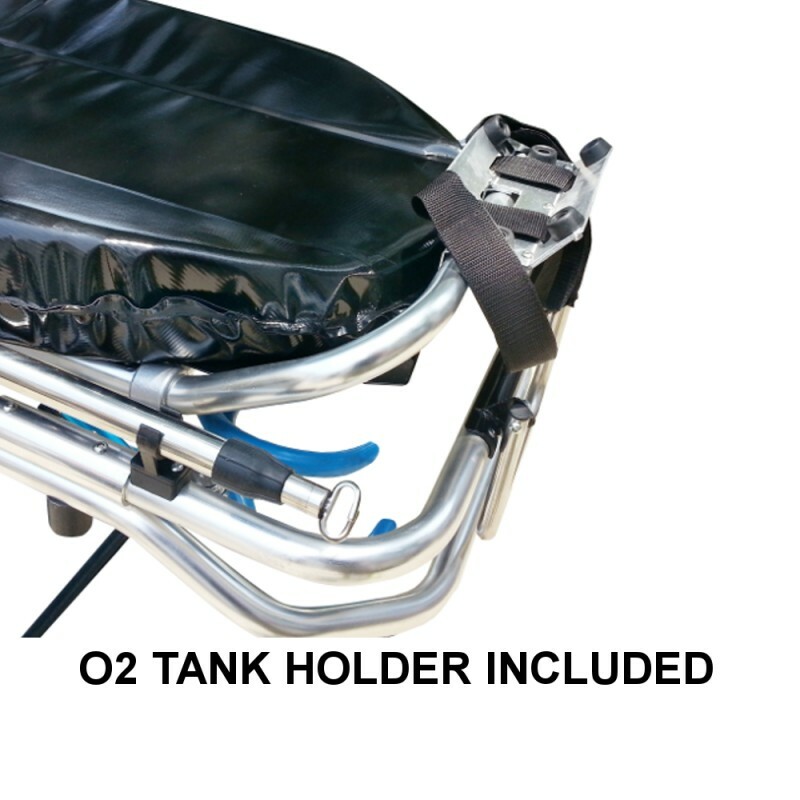 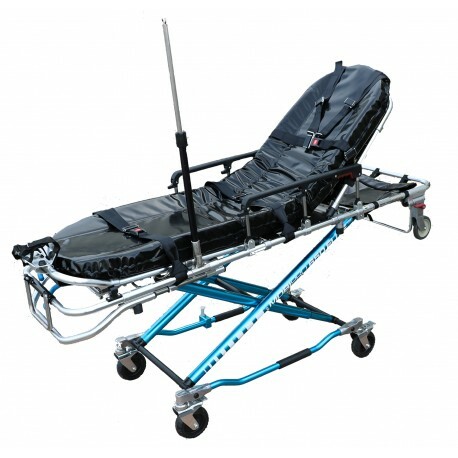 It also includes straps, shoulder harness, 4 Inch comfort mattress, and vehicle / ambulance side arm style locking device that is standard in most emergency vehicles in the US today. 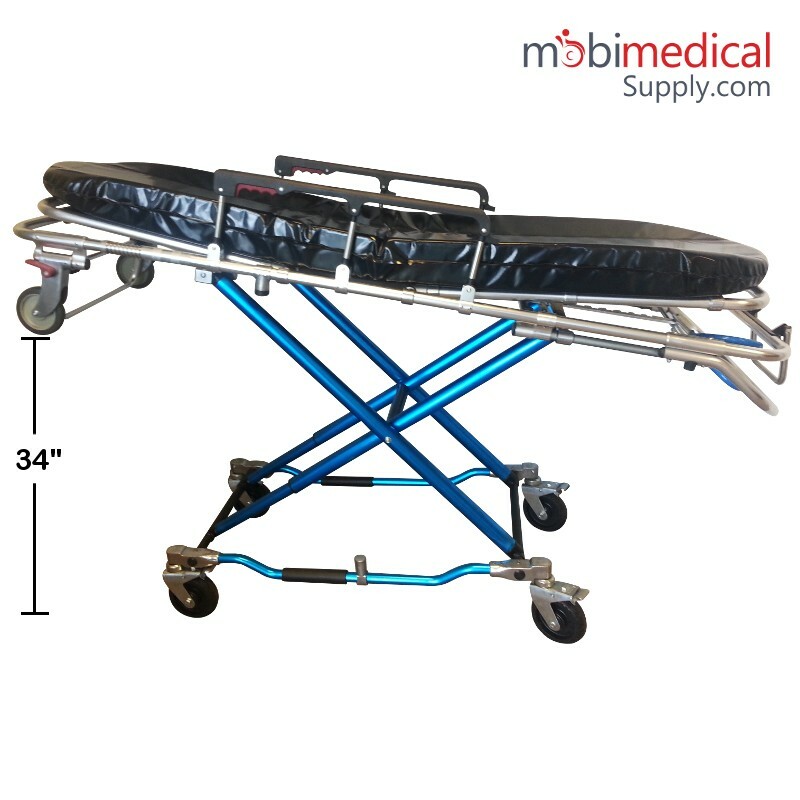 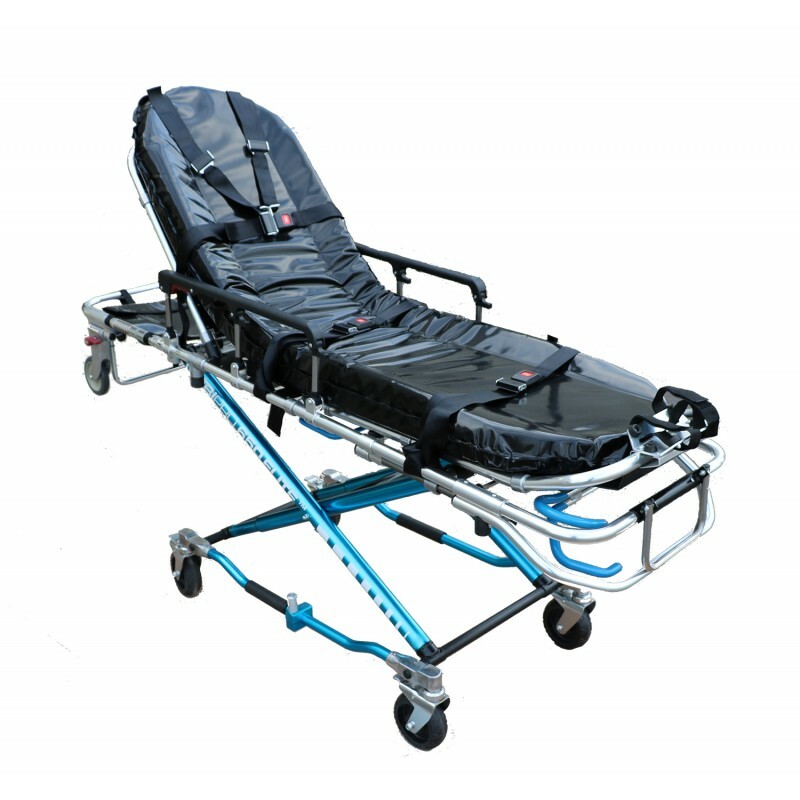 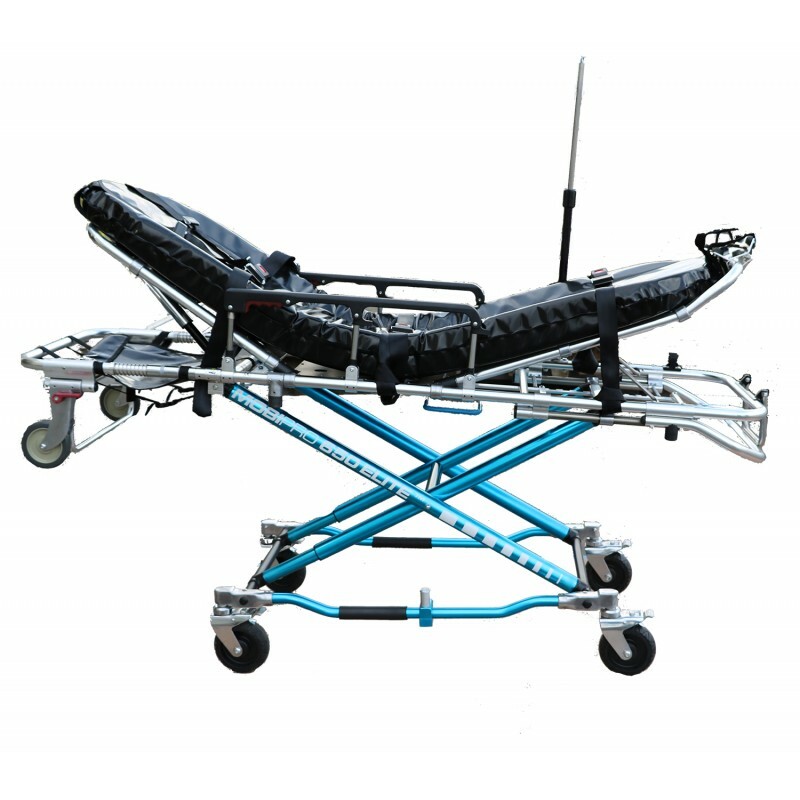 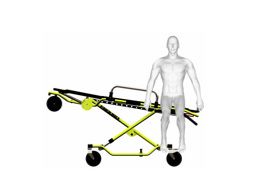 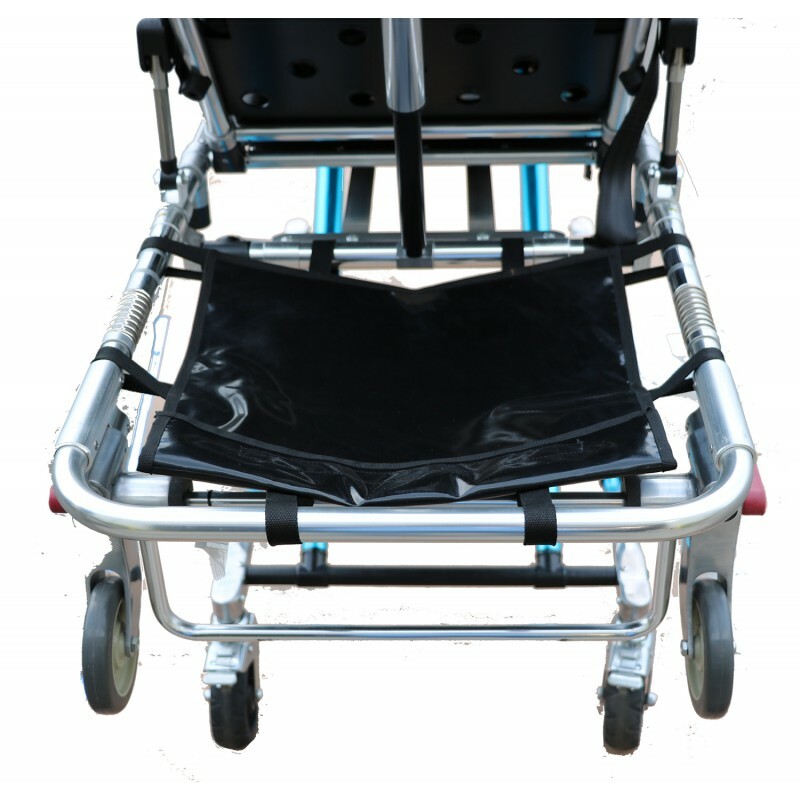 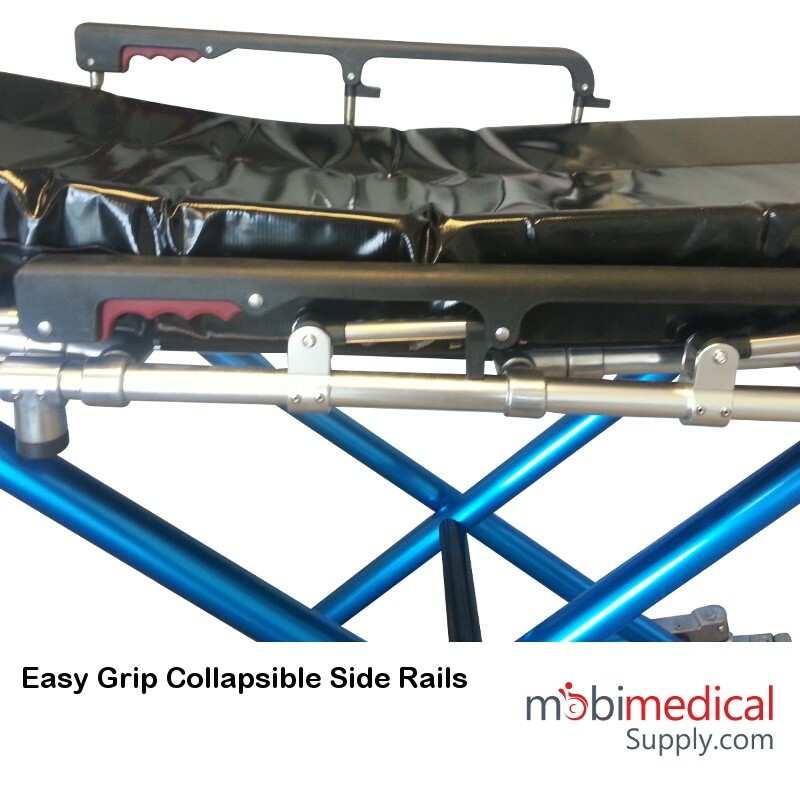 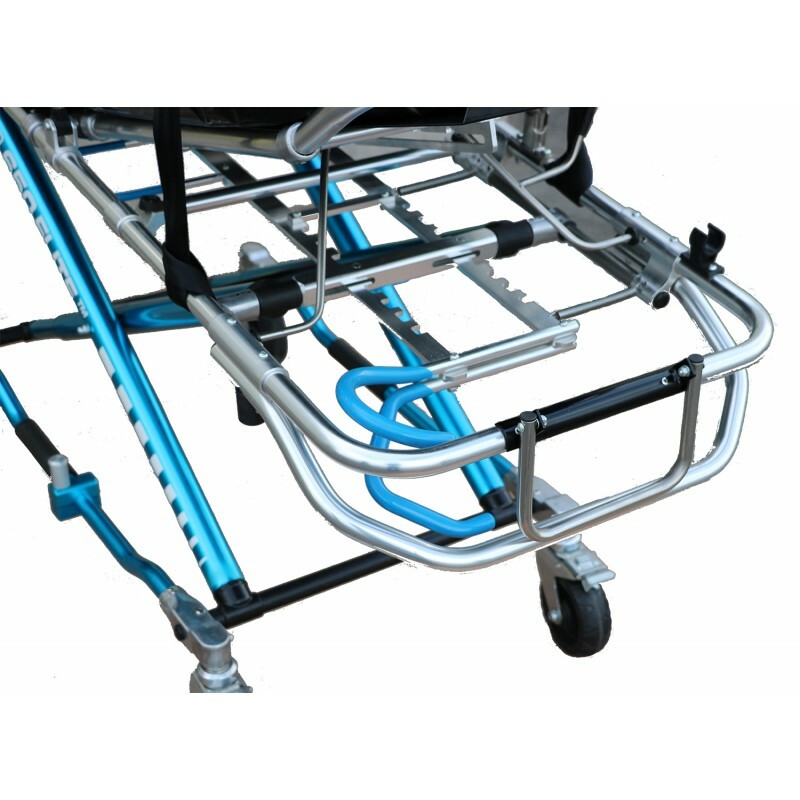 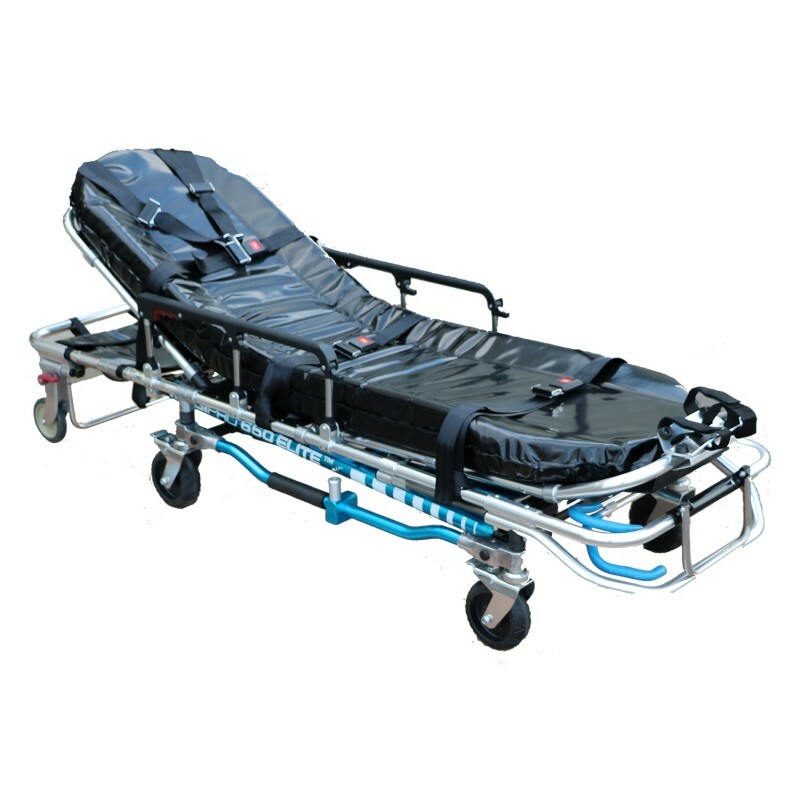 Our stretcher width of approximately 23 inches gives the patient more stability and comfort than the standard narrower sizes of 21.5, 22, or 22.5 inch wide stretchers commonly used in the field today.